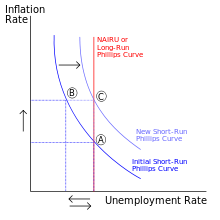 This article is about the field of economics. For the field of psychology, see Industrial and organizational psychology. In economics, industrial organization or Industrial economy is a field that builds on the theory of the firm by examining the structure of (and, therefore, the boundaries between) firms and markets. Industrial organization adds real-world complications to the perfectly competitive model, complications such as transaction costs, limited information, and barriers to entry of new firms that may be associated with imperfect competition. It analyzes determinants of firm and market organization and behavior as between competition and monopoly, including from government actions. There are different approaches to the subject. One approach is descriptive in providing an overview of industrial organization, such as measures of competition and the size-concentration of firms in an industry. A second approach uses microeconomic models to explain internal firm organization and market strategy, which includes internal research and development along with issues of internal reorganization and renewal. A third aspect is oriented to public policy as to economic regulation, antitrust law, and, more generally, the economic governance of law in defining property rights, enforcing contracts, and providing organizational infrastructure. The subject has a theoretical side and a practical side. According to one textbook: "On one plane the field is abstract, a set of analytical concepts about competition and monopoly. On a second plane the topic is about real markets, teeming with the excitement and drama of struggles among real firms" (Shepherd, W.; 1985; 1). The extensive use of game theory in industrial economics has led to the export of this tool to other branches of microeconomics, such as behavioral economics and corporate finance. Industrial organization has also had significant practical impacts on antitrust law and competition policy. The development of industrial organization as a separate field owes much to Edward Chamberlin, Edward S. Mason, J. M. Clark, and particularly Joe S. Bain among others. Assessments of the subject have differed over time. The preface to a related research volume in 1972 remarked on Whither industrial organization? : "That all is not well with this in this once flourishing field is readily apparent." A response came 15 years later: "[T]oday's verdict is that industrial organization is alive and well and the queen of applied microeconomics." The Journal of Economic Literature (JEL) classification codes are one way of representing the range of economics subjects and subareas. There, Industrial Organization, one of 20 primary categories, has 9 secondary categories, each with multiple tertiary categories. The secondary categories are listed below with corresponding available article-preview links of The New Palgrave Dictionary of Economics Online and footnotes to their respective JEL-tertiary categories and associated New-Palgrave links. Secondary markets, which can affect the behaviour of firms in primary markets. A 2009 book Pioneers of Industrial Organization traces the development of the field from Adam Smith to recent times and includes dozens of short biographies of major figures in Europe and North America who contributed to the growth and development of the discipline. Other reviews by publication year and earliest available cited works those in 1970/1937, 1972/1933, 1974, 1987/1937-1956 (3 cites), 1968-9 (7 cites). 2009/c. 1900, and 2010/1951. ↑ • R. H. Coase, 1937. "The Nature of the Firm", Economica, N.S., 4(16), pp. 386–405. • _____, 1988. "The Nature of the Firm: Influence", Journal of Law, Economics, & Organization, 4(1), pp. 33–47. Reprinted in The Nature of the Firm: Origins, Evolution, and Development, 1993, O. E. Williamson and S, G. Winter, ed., pp. 61–74. • _____, 1991. "The Institutional Structure of Production", Nobel Lecture, reprinted in 1992, American Economic Review, 82(4), pp. 713–719. • Oliver E. Williamson, 1981. "The Economics of Organization: The Transaction Cost Approach", American Journal of Sociology, 87(3), pp. 548–577. • _____, 2009. "Transaction Cost Economics: The Natural Progression", Nobel Lecture. Reprinted in 2010, American Economic Review, 100(3), pp. 673–90. ↑ George J. Stigler,  2008. "competition", The New Palgrave Dictionary of Economics, 2nd Edition. Abstract. ↑ • Luigi Zingales, 2008. "corporate governance", The New Palgrave Dictionary of Economics, 2nd Edition. Abstract. • Oliver E. Williamson, 2002. "The Theory of the Firm as Governance Structure: From Choice to Contract", Journal of Economic Perspectives, 16(3), pp. 171–195. • Dennis W. Carlton and Jeffrey M. Perloff, 2004. Modern Industrial Organization, 4th edition, pp. 2–3. Description. ↑ • Frederic M. Scherer and David Ross, 1990. Industrial Market Structure and Economic Performance, 3rd ed. Description and 1st ed. review extract. • Dennis W. Carlton and Jeffery M. Perloff, 2004. "Modern Industrial Organization, Overview", ch. 5, Handbook of Industrial Organization, Elsevier, v. 1, pp. 259–327. • Carl Shapiro, 1989. "The Theory of Business Strategy", RAND Journal of Economics, 20(1), pp. 125–137. • Kyle Bagwell and Asher Wolinsky (2002). "Game theory and Industrial Organization", ch. 49, Handbook of Game Theory with Economic Applications, v. 3, pp. 1851–1895. • Martin Shubik, 1987. A Game-Theoretic Approach to Political Economy, Part II. MIT Press. Description. Archived May 3, 2011, at the Wayback Machine. ↑ Richard Schmalensee and Robert Willig, eds., 1989. Handbook of Industrial Organization, Elsevier, v. 2, Part 5, Government Intervention in the Marketplace, ch. 22–26, abstract links. ↑ • Richard A. Posner, 2001. Antitrust Law, 2nd ed. University of Chicago Press. Preview. • D. L. Rubinfeld, 2001. "Antitrust Policy", International Encyclopedia of the Social & Behavioral Sciences, pp. 553–560. Abstract. Archived September 5, 2015, at the Wayback Machine. ↑ • Avinash K. Dixit, 2008. "economic governance", The New Palgrave Dictionary of Economics, 2nd Edition. Abstract. • Oliver E. Williamson, 1996. The Mechanisms of Governance, "Prologue", pp. 3–20. ↑ • George J. Stigler, 1983. The Organization of Industry, University of Chicago Press. Description and contents links and preview. • Richard Schmalensee, 1988. "Industrial Economics: An Overview", Economic Journal, 98(392), pp. 643–681. Working paper link. Mark Armstrong and Robert Porter, ed., 2007. v. 3. Links to description, chapter-content descriptions, chapter outlines, and preview. ↑ Exemplified in such advanced textbooks as Jean Tirole, 1988, The Theory of Industrial Organization, MIT Press, description and chapter-preview links. ↑ • Edward Hastings Chamberlin, 1933. The Theory of Monopolistic Competition: A Re-orientation of the Theory of Value, 1965, 8th ed. Harvard University Press. • R. Rothschild, 1987. "The Theory of Monopolistic Competition: E.H. Chamberlin's Influence on Industrial Organisation Theory over Sixty Years", Journal of Economic Studies, 14(1), pp. 34–54. Abstract. • William L. Baldwin, 2007. "Edward Hastings Chamberlin", in Pioneers of Industrial Organization, H. W. de Jong, W. G. Shepherd, ed., pp. 199–. ↑ Edward S. Mason, 1939. "Price and Production Policies of Large-Scale Enterprise", American Economic Review, 29(1, Supplement), pp. 61–74. • _____, 1949. "The Current Status of the Monopoly Problem in the United States", 'Harvard Law Review, 62(8), pp. 1265–1285. • William G. Shepherd, 2007. "Edward S. Mason", in Pioneers of Industrial Organization, H. W. de Jong, W. G. Shepherd, ed. • William L. Baldwin, 2007. "John Maurice Clark" in Pioneers of Industrial Organization, H. W. de Jong, W. G. Shepherd, ed., pp. 183–186. ↑ • Joe S. Bain, 1956. Barriers to New Competition: Their Character and Consequences in Manufacturing, Harvard University Press. Review extracts . • _____, 1959, 2nd ed., 1968. Industrial Organization: A Treatise, John Wiley. • Richard E. Caves, 2007. "Joe S. Bain", in Pioneers of Industrial Organization, H. W. de Jong, W. G. Shepherd, ed., pp. 224–231. 1 2 E. T. Grether, 1970. "Industrial Organization: Past History and Future Problems", American Economic Review, 60(2), pp. 83–89. ↑ Oliver E. Williamson, ed., 1990. Industrial Organization, Edward Elgar. Description and article list. 23 articles, dating from 1937 to 1987. Archived July 22, 2011, at the Wayback Machine. ↑ Victor R. Fuchs, ed., 1972. "Preface" (scrollable down), Policy Issues and Research Opportunities in Industrial Organization, NBER, p. xv. ↑ Oliver E. Williamson, 1987. "Delimiting Antitrust", Georgetown University Law Review, December 76, p. 303. Reprinted in Williamson (1996), The Mechanisms of Governance, p. 306 (snippet). ↑ A complete list of the JEL Industrial Organization codes is at JEL classification codes#Industrial organization JEL: L Subcategories. ↑ Henry W. de Jong and William G. Shepherd, ed., 2007. Pioneers of Industrial Organization. Cheltenham, UK: Elgar. Description and content links and preview. Archived August 7, 2011, at the Wayback Machine. ↑ James W. McKie, 1972. "Industrial Organization: Boxing the Compass", ch. 1 in V. R. Fuchs, ed., Policy Issues and Research Opportunities in Industrial Organization, NBER, pp. 1-15. ↑ Almarin Phillips and Rodney E. Stevenson, 1974. "The Historical Development of Industrial Organization", History of Political Economy, 6(3), pp. 324–342. In Papers from the First Conference of the History of Economics Society. Citation. ↑ Timothy F. Bresnahan and Richard Schmalensee, 1987. "The Empirical Renaissance in Industrial Economics: An Overview", Journal of Industrial Economics, 35(4), pp. 371–378. ↑ Liran Einav and Jonathan Levin, 2010. "Empirical Industrial Organization: A Progress Report", Journal of Economic Perspectives, 24(2), pp. 145–162.